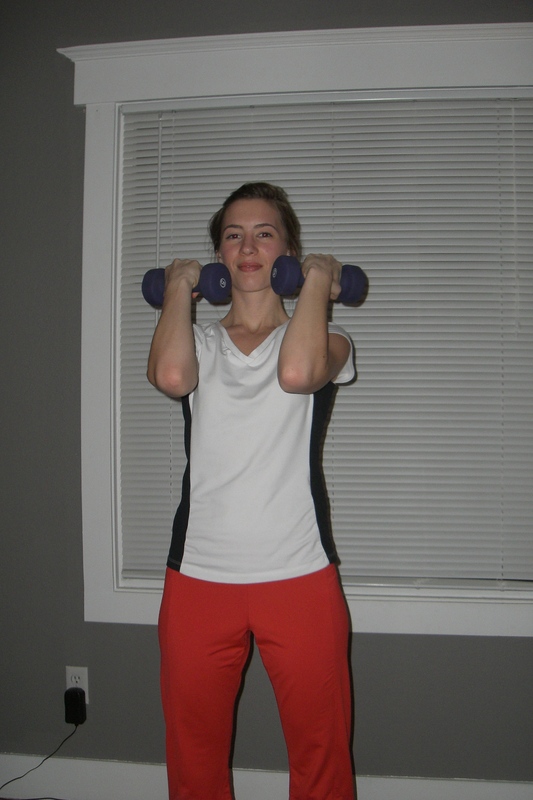 Standing with your feet hips width apart, hold a weight in each hand (I used 5lbs). Raise your straight arms to just about shoulder height (palms facing up). Keep them even (unlike this picture). 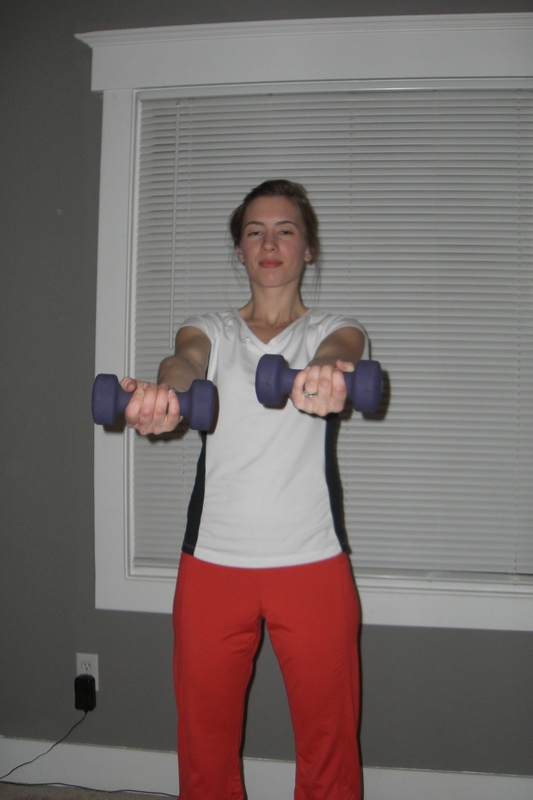 Curl both hand toward your shoulder.